As you may have heard me mention, the Epcot Food and Wine Festival is a favorite time of year for me. 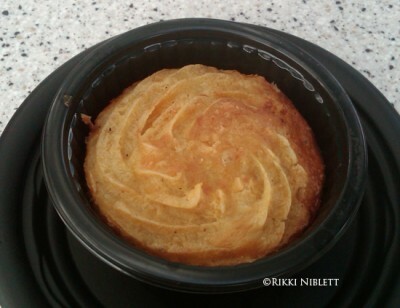 I love sampling the different options that can be found all around World Showcase (and new for this year, Future World.) Each year there are always some major hits, and unfortunately a few misses. While I haven’t yet been able to visit this year’s festival, there are quite a few things that are back on this year’s menu that I’ve been able to try in the past. 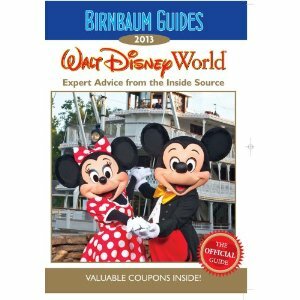 I thought I would share with you which ones I found to be hits and which ones I found to be misses to help guide you along the way. 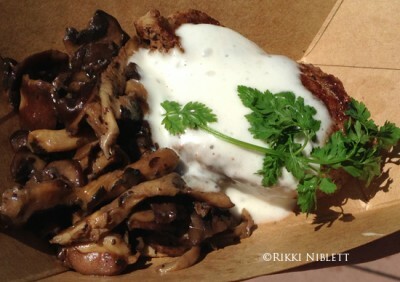 “Le Cellier” wild mushroom beef filet mignon with truffle butter sauce from the Canada booth: Yes, it’s not a huge portion of steak, but the flavors together are perfect. 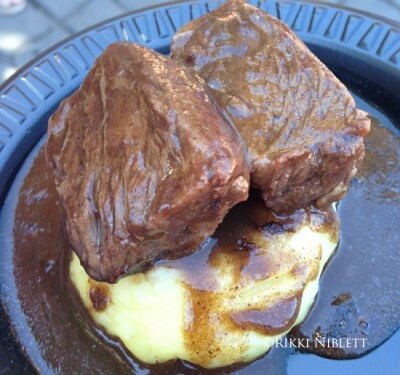 Boeuf bourguignon: Braised short ribs in cabernet with mashed potatoes from the France booth: This is one of my favorite dishes in the whole festival. The ribs are tender and the gravy is flavorful. It’s a stick to your ribs dish that’s a must get. 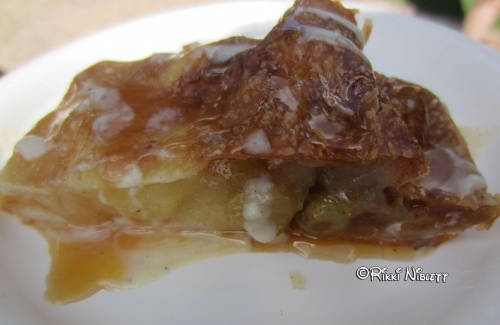 Apple strudel with vanilla sauce from the Germany booth: The apple strudel is a great treat. It’s the right size for the price and the apples are perfect with the right amount of cinnamon. If you like apple pie, this is a must get. 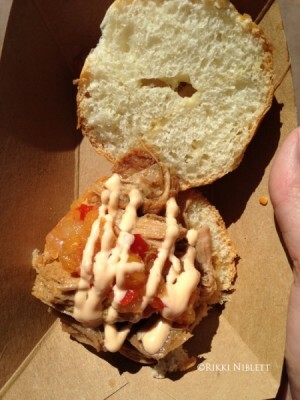 Kalua pork slider with sweet and sour Dole Pineapple chutney and spicy mayonnaise from the Hawaii booth: It’s savory, it’s sweet, it’s delightful. Fresh baked carrot cake with Craisins and cream cheese icing from the Hops and Barley booth: Oh my goodness. Another must get. 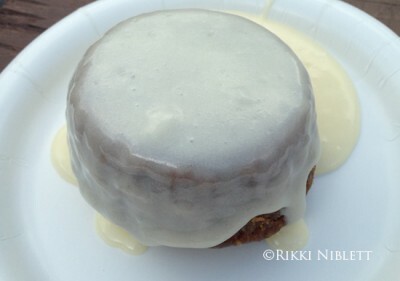 The carrot cake is served warm and the cream cheese icing is heavily drizzled on top. I could eat like 20 of these and not regret it. 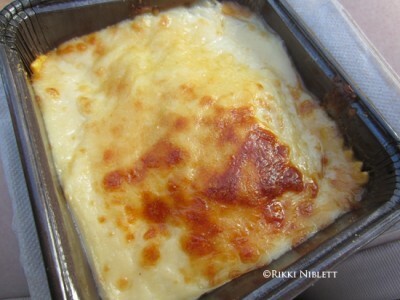 Lobster and seafood fisherman’s pie from the Ireland booth: It’s the seafood version of shepard’s pie and it’s incredible. While the size of the lobster chunks and the number of shrimp vary, it’s totally worth it. Don’t eat it when it’s hot out though. It’s served blistering hot. 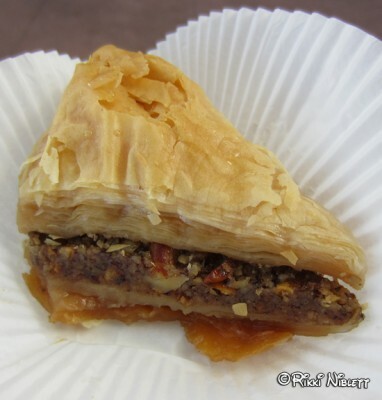 Baklava from the Morocco booth: It’s sweet, I love the honey, and nutty. It’s a wonderful dessert. 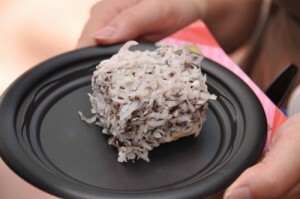 Lamington from the Australia booth: This chocolate and coconut covered yellow sponge cake sounds like it has promise. However, unfortunately, it doesn’t hit the mark. The chocolate and coconut are great, however, the yellow sponge cake is extremely dry leaving a treat that has promise to one that’s not so great. Cheddar Cheese Soup from the Canada booth: Ok…I may get flamed for this one, however, it’s not the deliciousness of the soup that makes this a miss, instead it’s the size of the cup for the cost. It’s a very small cup for the same cost as a normal bowl of soup at most other places. If you must enjoy the soup, get it, but for the money, there are better choices. 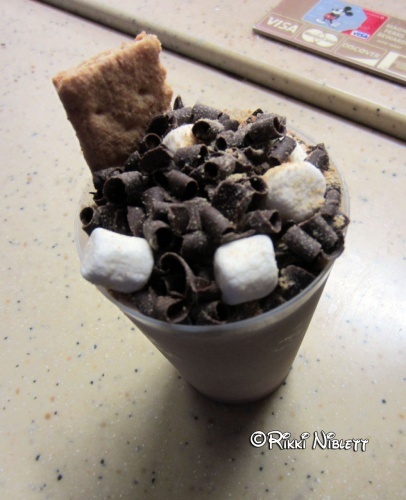 Frozen S’mores from the Desserts and Champagne booth: This was a tiny beverage and I think that the s’mores shake from Steak n’ Shake is better. Guylian Belgian chocolate seashell truffles from the Desserts and Champagne Booth: This is a pre-boxed snack of two chocolates. I really dislike the fact that it’s not made on site and I also don’t think it’s worth the cost. Get something more unique. New England lobster roll from the Hops and Barley booth: Plain and simple…if you want a lobster roll, get the same thing that’s much bigger for not much more money at Columbia Harbor House at the Magic Kingdom. Ravioli alla caprese: Cheese ravioli, tomato sauce, mozzarella, parmesan and basil from the Italy booth: This is only a miss because I think there are more unique offerings for the Epcot Food and Wine Festival. It’s a solid dish overall, and great for picky eaters, but it’s not super stand out. 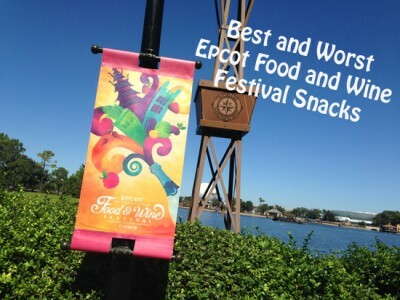 So, those are my best and worst choices from this year’s Epcot Food and Wine Festival. What do you think? What are your hits and misses?